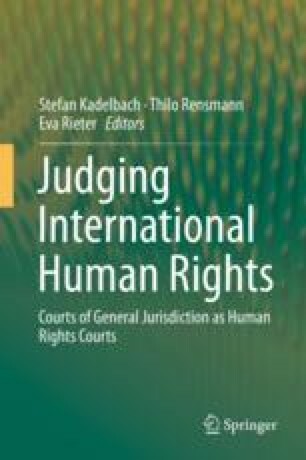 This chapter on courts of regional economic communities in Latin America focuses mainly on MERCOSUR since other regional arrangements have not yet developed a fundamental rights jurisprudence of their own. In particular, it discusses a MERCOSUR arbitral award on the pulp mill dispute, in which Argentina invoked fundamental rights against market freedoms claimed by Uruguay and reference was made to fundamental rights cases decided by the Court of Justice of the European Union. Parts of this paper build on an earlier text by the same authors. See Franca Filho et al. (2014).